A blend of citrus fruits and bright acidity excite the taste buds and there is plenty of flavour along the full length of the palate with a lively refreshing finish. Aromatic and elegant on the nose with a tight clean acidity, this wine is showing all the class of a true Tasmanian cool-climate Riesling. Although exciting and fresh now, this wine could also be cellared to allow the bright acid and hint of phenolics to mature. 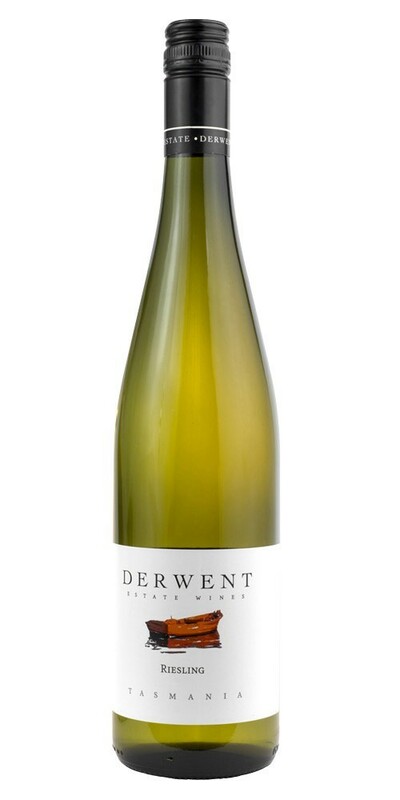 Derwent Estate have their Riesling block on the uppermost slope. The soils are shallow, permeable loams over limestone that allow this variety to develop intensity and definition while retaining delicacy.